Discussion in 'Black Hat SEO' started by DHSellerUK, Apr 17, 2013. 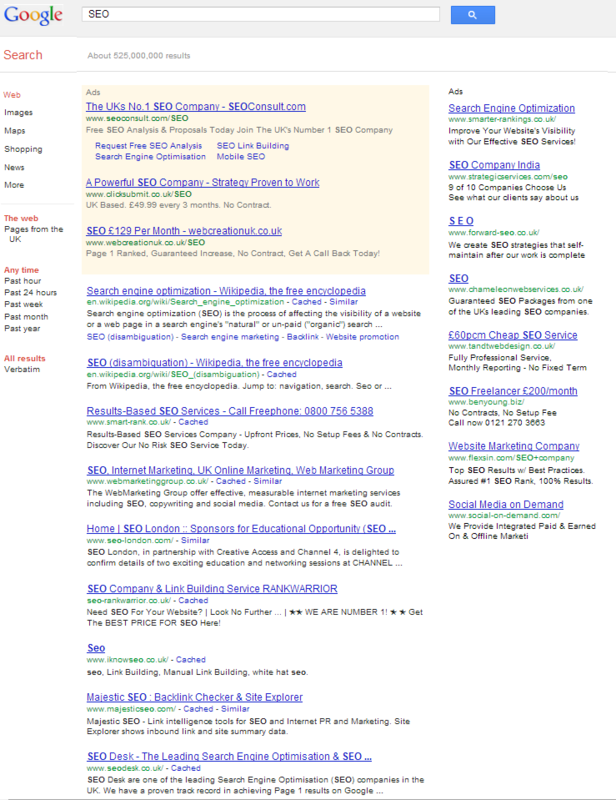 They're ranked #1 in the UK for "seo" and are absolutely destroying all the varitations of "seo". Our domain age is 1 year and we have around 50 clients, we could probably generate 100,000 backlinks with the anchor text "seo" from these alone, good idea or no? I know this may be a noob-ish question but it's more towards i want to see your guys opinions, i was going to drip feed each clients site (that i got permission) 1 site at a time. A domain name appearing in text actually appears to help rankings, regardless of whether or not there's a hyperlink. You ought to obscure the domain a little better than that. If you're in the contention for "SEO" in the UK, I think that's a fine idea, as long as you keep the anchor text percentages under control. I don't see them on first page. Anyway, I'd go for brand anchor just to be safe. You don't need 100k backlinks to get to page 1 for seo, look at iknowseo, hes already ranking on page 1 for that term, and hes a member here am sure of that, You need solid link profile, and amazing high pr links, that will get the job. They're not on page 1. Maybe in your location but not generally in the UK. I turned off localized searches.. they're #1 for broad search of "SEO" targeted in the UK. I can recommend you to use the tool Impersonal.me (Free) to change the geographic/language preferences of your searches. Remember to log out of your G account and clear your browser anyway. Just keep driving quality backlinks as you did until now and slowly start doing more of them. Just keep a steady flow. Rankings are hardly definitive as these days it seems every person gets different results for the same query (if only by a margin). A solid link profile will just mean you appear more and more on people's results. And I can't help but notice, you're running a seo company but asking how to outrank your competitors? If you're running a legit business then the only real answer would be to do whatever you're doing for your clients but on a larger scale.